KUKIZI's Goody Bag Luggage Tag 1 pc.+ Passport Case 1 pc. be Hurry, stocks are limited!! Let's Celebrate Pinkoi 7th Anniversary with this special Goody Bag How to Order ^_^ Step 1 : choose Luggage Tag color -- A1 = Orange or A2 = Dark Brown amount 1 pc. 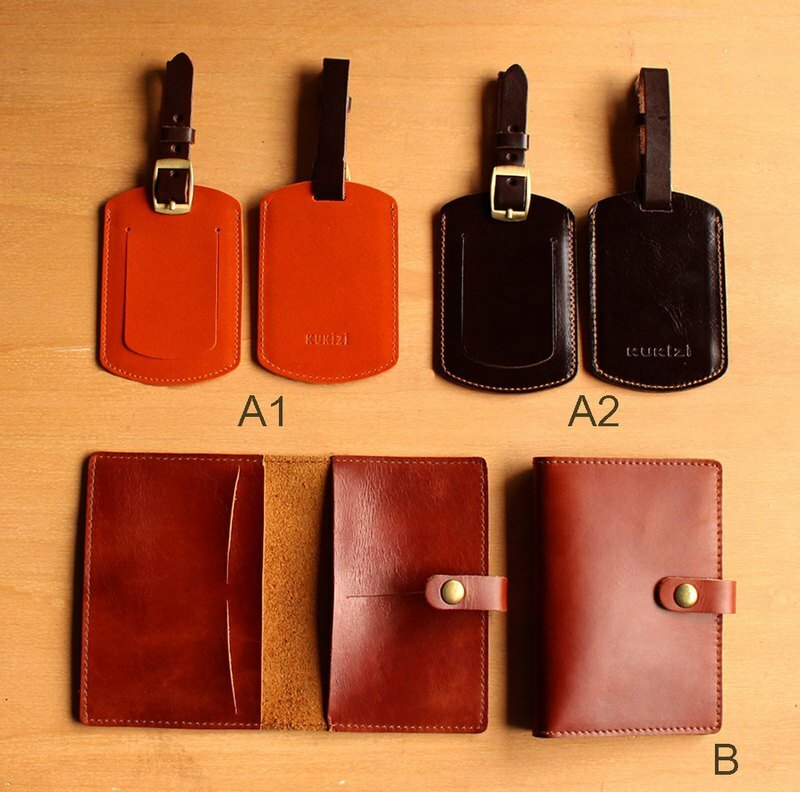 Step 2 : choose Passport case color -- B = Red Brown or C = Brown amount 1 pc. Step 3 : please contact us to check the stock before you place order ** Consist of 2 pcs. -- 1. Leather Luggage Tag 2. Passport Case - Simple & Functional Design You can keep 2 passports plus 3 cards. Easy open and close with metal peck. Size : W 10.5 x H 14.3 cm. Expected Delivery Date : For Taiwan , Hong Kong and Macau destination, your orders are estimated to arrive within 7-14 business days.